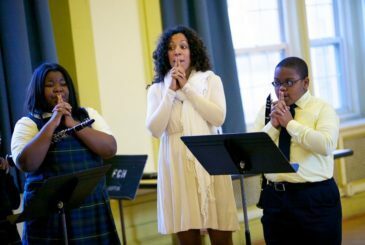 The Philadelphia Chamber Music Society’s multi-faceted Education & Outreach Program inspires people of all ages by enhancing the concert experience, mentoring young players, building new audiences, collaborating with other nonprofits, and fostering community around the shared experience of chamber music. Whether it’s a child’s first exposure to classical music, a student’s one-on-one interaction with an eminent concert artist, or a scholar sharing insights into the repertoire, each aspect of our program engages audiences now and for the future. We are grateful for the program support we have received from the Lois and Julian Brodsky Music Education Fund; the Paul M. Angell Family Foundation; the Cassett, Connelly, Dolfinger-McMahon, and Presser Foundations; the Hirsig Family Fund; and others. Program sponsorships make a very real difference in the lives of young people—in providing them with artistic and life lessons that can enrich them forever. For information on the program, contact Erik Petersons, Education and Outreach Director, at [email protected]. To learn more about how you can support our mission, contact Pat Manley at [email protected]. 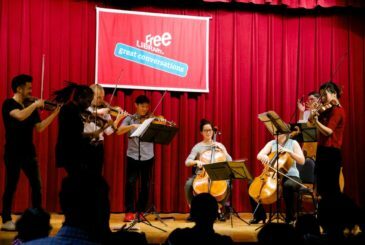 Free children’s concerts reveal the inner workings of chamber music through interactive performances that are open to area schools and families. 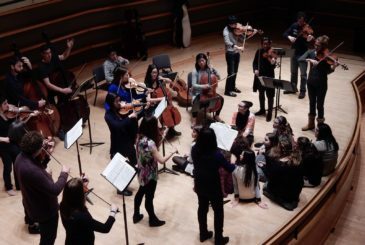 Groups such as ECCO, Time for Three, the Dalí String Quartet, and the Chestnut Brass Quintet have engaged annually with over 300 students from schools across the city. Free and reduced-price student tickets introduce young people to live performances at prominent venues. Our Unlimited Concert Passes provide access to our entire season for one low price, and individual student tickets are just $10 (for full time students age 35 and younger). Teachers are also welcome to bring students to concerts and open rehearsals. Please contact Erik Petersons at [email protected] for more information. In-school master classes and seminars give students the opportunity to work with eminent artists who bring technical, musical, and historical perspectives to the works they are studying. 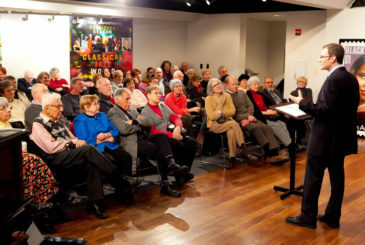 Led by respected musical scholars and composers, pre-concert lectures offer insights into the repertoire before approximately 25 concerts each season, adding a depth and personal understanding to our programming that goes beyond program notes.